You Can Do It! - Motivational Inspirational Posts app: insight & download. Inspire, Motivate, Encourage, Support and Congratulate yourself and others. Lift your spirits and feel good! Improve your self-esteem and boost your self-confidence in just 5 minutes a day with this handy YouCanDoIt! App. YouCanDoIt! 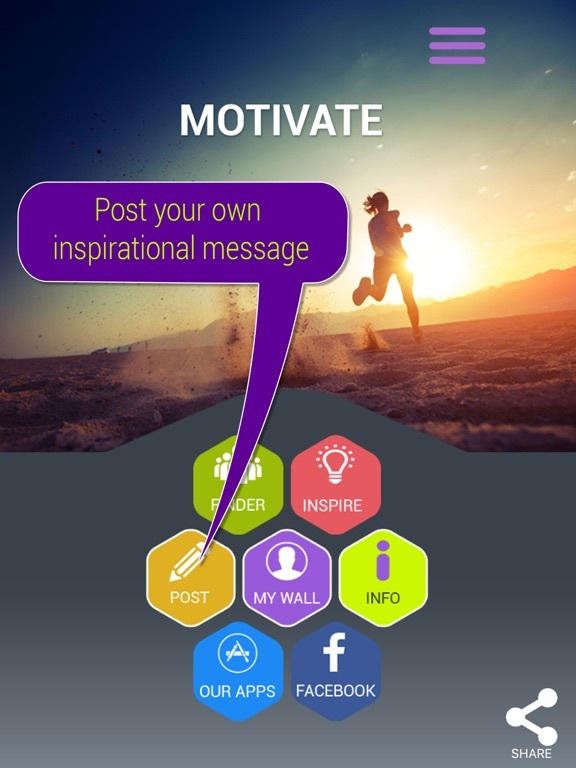 makes it easy for you to exchange motivational messages with your friends and other YouCanDoIt! app users. All the lovely messages you receive are ‘pinned to your wall’. They are all stored there, in one easily accessible place, where you can read them at any time you feel in need of a little bit of motivation or a boost to your self-confidence. It can be easy to forget how many people care for you and value you at times when you a facing a challenge in your life. Sometimes you may feel a bit low and it’s so good to be able to read all the messages that have been sent to you at the touch of a button. In a very short time you will find your self-esteem improves and you begin to feel more confident in yourself. Imagine how great that’s going to feel! This application is intended to inform you and enhance your general knowledge in respect of improving your happiness and self-confidence and should never be used as a substitute for medical care or advice. You must always seek medical advice for medical conditions and health issues such as depression and low mood. If you make the decision to apply any of the information in this application you are taking full responsibility for your actions and we are not responsible for any direct or indirect, punitive, special, incidental or any consequential damages that arise as a direct or indirect result of applying any part of this material which is provided in this application for educational purposes only and is without warranties. • Your personal motivation wall. 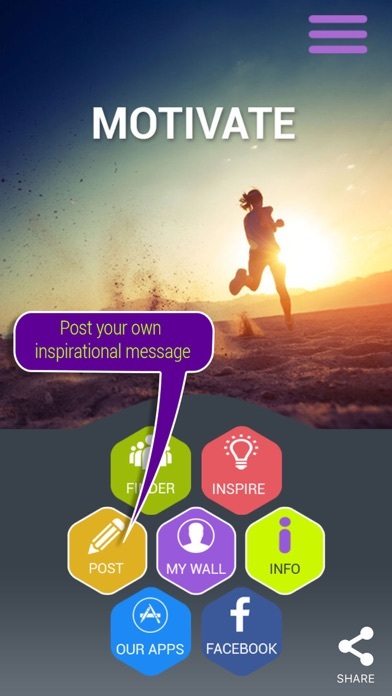 • Facility to search from your app for other app users and friends to send motivational messages to. • A useful resource of well-known Inspirational comments to send to your contacts or just to read for yourself. • Easy to use 'message composer’. • Take a photo for your wall using the handy camera icon.